APH Power Units comprise reservoir, integral pump and motor unit, relief valve, strainer, level indicator and filler breather. Units are available with electric motor capacities, ranging from 1.1kW. 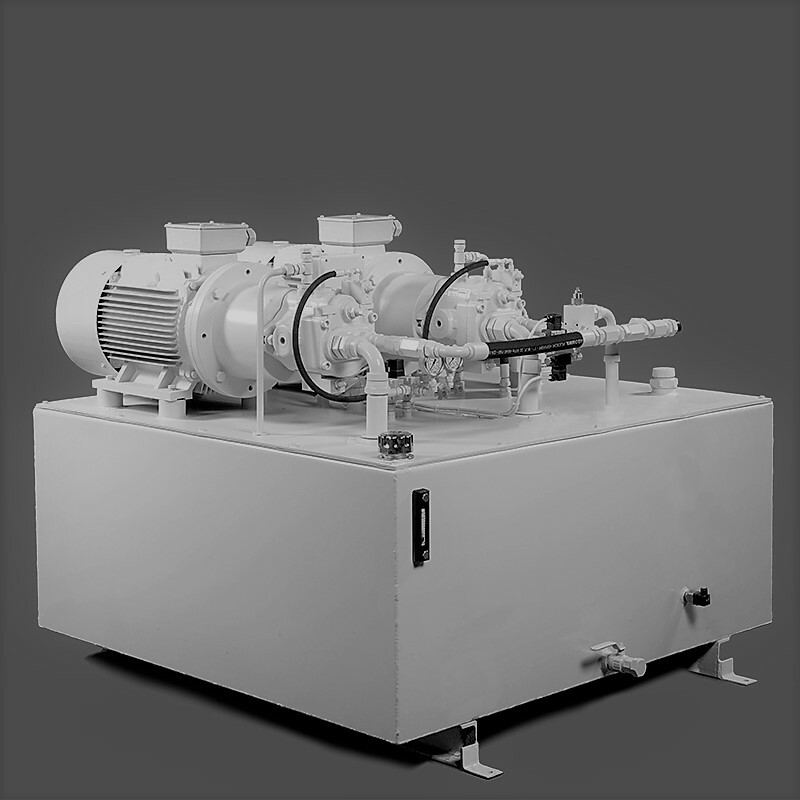 Hydraulic power units are suitable for general application in the engineering and process industries and to power pipe handling, template levelling systems, fish curing plants, heavy pressing, machine tools, packaging, film, processing, pipe bending, sugar refining, oil rigs, quarry machinery, rubber moulding, pressure testing, tensile testing and others. Our reputation for quality precision engineering is demonstrated in our design and manufacture of large custom built units of up to 100 kW electric motor capacity and 350 bar (5000psig) working pressure. Power units – standard or non standard – are designed and contructed to the same high quality of manufacture as all our products. Hydraulic power units can be built to client specification using electric or air motors. Click the button below to download our Hydraulic Power Unit Catalogue now.